The National Drive Electric Week (NDEW) is a nationwide celebration to heighten awareness of today’s availability of plug-in vehicles and highlight the benefits of all-electric and plug-in hybrid-electric cars, motorcycles, and more. They are fun to drive, are less expensive and more convenient to fuel than gasoline vehicles, are better for the environment, promote local jobs, and reduce our dependence on foreign oil. 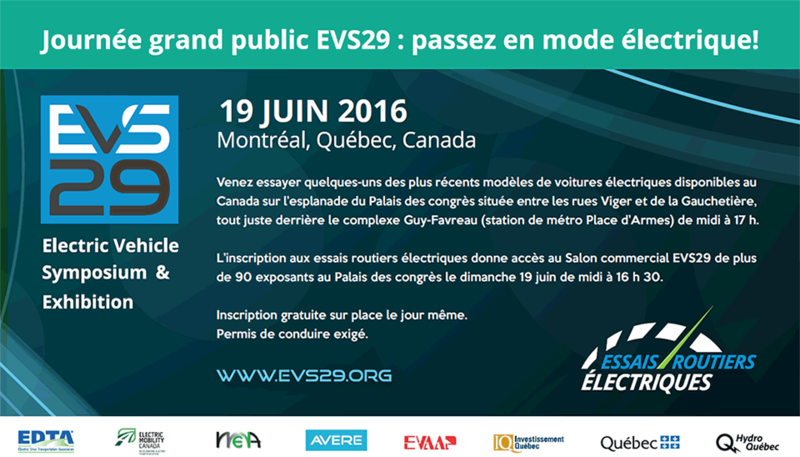 Electric Mobility Canada is proud to support all the EV drivers associations, and other organizers dedicated to promote this celebration throughout Canada. We invite you, your friends and colleagues to be part of the events in your region. See our NDEW 2015 section to learn more. See our NDEW 2016 section to learn more. You can visit the NDEW website to learn more about this initiative and see all the events happening in North America. Ride & Drive + EV Display — See, ride in and drive the cars of the future… today! MEVAFest is part of ManyFest, an important event held in downtown Winnipeg.